Water is what gave the city much of its charm till urbanisation turned the tide My beloved Srinagar, the only city I have ever called home, has gone. The city of wealth and prosperity drowned by the worst floods in its history. I was there when our home was violated by what we held most precious: water.What wrong had we done collectively to deserve this fate? In 2010, there was a chilling forecast in the Srinagar-based daily, Greater Kashmir, based on interviews with officials of the state flood control ministry that a catastrophic flood awaits Kashmir. 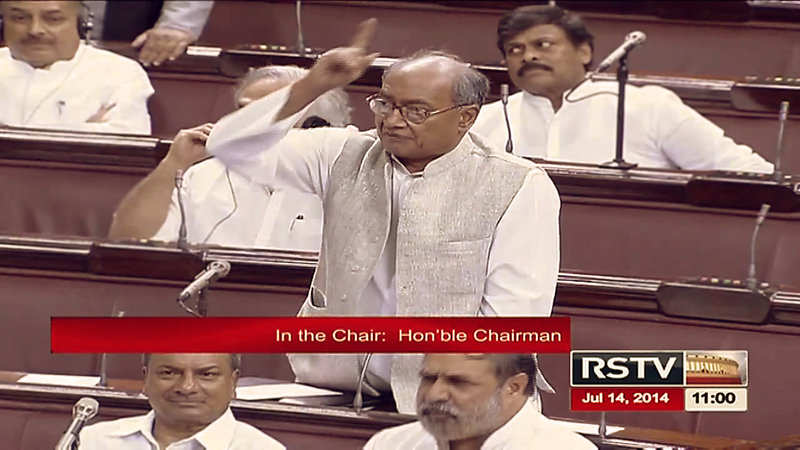 A plan was drawn up, but like much else in the state: nothing happened.Four years later, Kashmir lies devastated, and Srinagar destroyed. The history of Srinagar, of the last three decades or more, is the story of an urban disaster. But it was not always like this. Growing up in Srinagar in the 1960s and 1970s was to live a life so idyllic that in hindsight it seems unreal. Every season was special.Rivers, water, ice and snow were part of life and brought its challenges, but never overwhelmed. The spring, from March to May , was when school began after the long winter break. The ice melted and the fragrance of the Yemburzal and the blossoms of the almond trees enveloped the valley.We had our first excursion of the year to the almond orchards or Badam Vari, with hundreds of others, carrying portable stoves, rice and mutton. School was a five-km cycle ride away , passing the river Jhelum on the left, and crossing the Zero Bridge and finally arriving at Burn Hall School, in Sonwar with the wonderful chinars of the Amar Singh garden just across the road. The Jhelum was a lifeline: when we stayed at 'mata mal' (maternal grandparents' house) we took the shikara to cross the Jhelum to our first school, the Presentation Convent. The summer, from June to September, was when life was at its most robust. 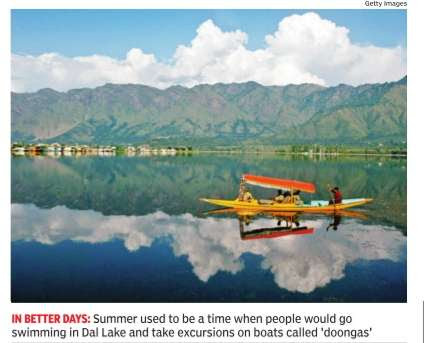 The swimming boats of the Dal lake and Nageen lake was where one learnt swimming, unless you were at the tough Biscoe School, which taught you that in “All things be men“ while Burn Hall relied on “Industria Floremus“ (In Toil we will flourish). But the Biscoe boys' encounter was not without tragedy. Several Biscoe boys had drowned in the great Wullar lake in the early 20th century . This was a time for night excursions in the floating houseboats: the doongas. This was the only season when it rained heavily, other than in March-April. But while in the spring the mountains were full of ice, in August-September the glaciers would melt feeding the river and threatening floods. In autumn, one prepared for winter. As the valley turned gold and rust, we dried vegetables, stored firewood, and prepared for the final exams in November. Winter was the time for snow and stories. We ventured for a few hours to play snow games, but the rest of the day was spent reading and finishing homework during the three-month vacation. There was no central heating, but just fireplaces, bhukharis and kangris. Never ever in all these years did water enter our house. 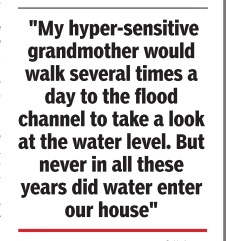 There were warnings in earlier years, and my hyper-sensitive g randmother would walk several times a day to the flood channel to take a look at the water level. The flood channel was where the water was sent when the level of the Jhelum rose, and if it went alarmingly high the gates of the Dal were opened and the lake was flooded. But after the great flood of 1902 and then of the early 1950s, there was no flood that severely impacted on the city . As a consequence of the great flood of 1902, the flood channel behind our house was created and there were nallahs and wetlands that absorbed excess water. But by the 1980s and 1990s, every rule of urban planning had been violated. The Nallah Mar, an important flood channel, was filled up and made into a road. The wetlands became residential colonies, and there was encroachment on most embankments of the river Jhelum. Srinagar will now have to be rebuilt brick by brick, but before that thousands will have to be rescued and rehabilitated and provided the space where they can mourn in dignity . But after a tragedy of this enormity (corpses of babies and women are still floating in the river), will we allow the same crop of corrupt bureaucrats and inept political leaders to take charge? Or will we build Srinagar, the valley of Nund Rishi and Lal Ded, again as it once was: the abode of fresh air and pure springs, and the land of peace, compassion and prosperity? Amitabh Mattoo is director of the Australia India Institute, University of Melbourne.